St. Patrick’s Day Lucky Chow. 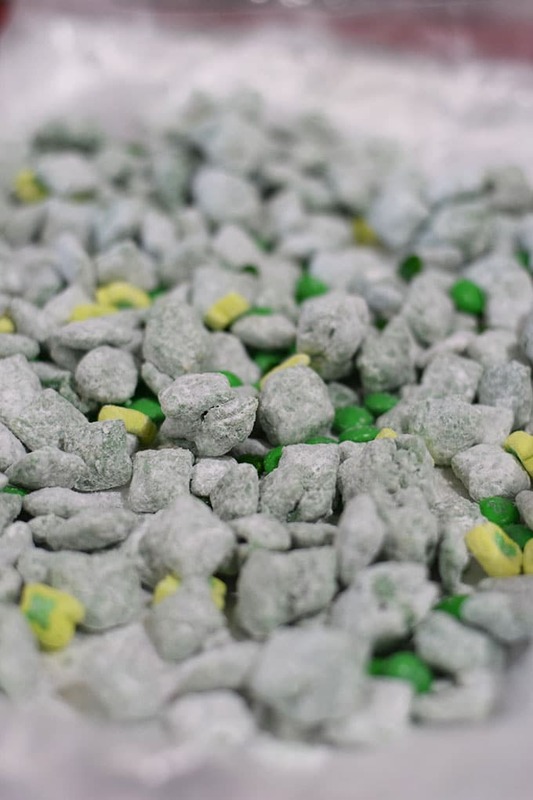 It’s puppy chow Leprechaun style! 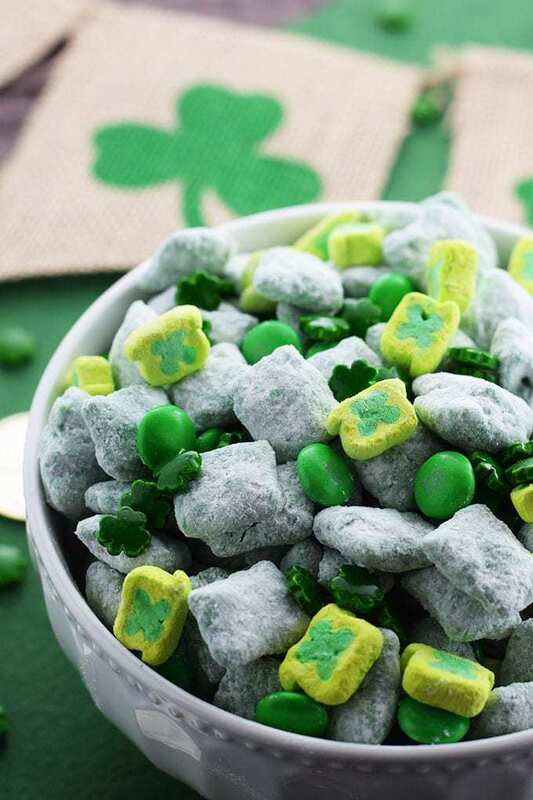 Candy melts, peanut butter, and powered sugar tossed with fun green candies and shamrock marshmallows. 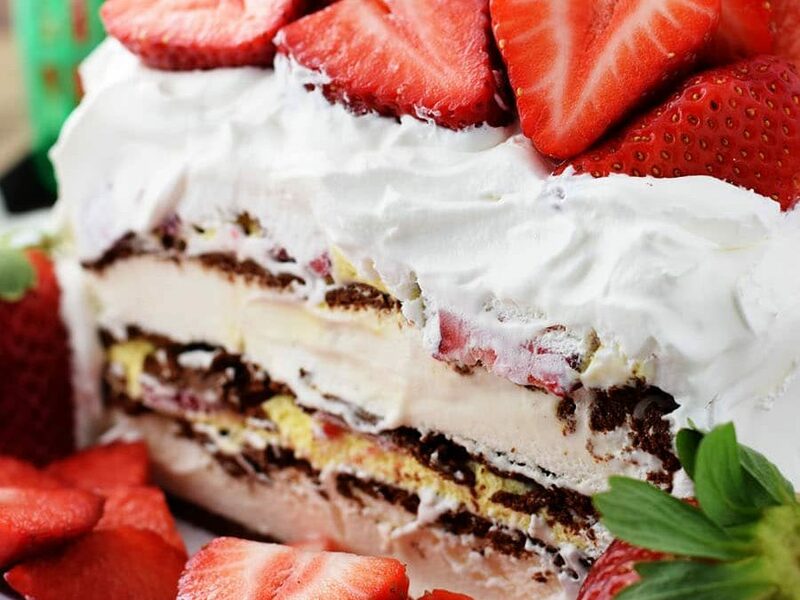 This super festive and so delicious treat is fun for the whole family! Puppy (Lucky Chow), aka muddy buddies, is the kind of snack you just want to keep diving in for more. I warned you this stuff is addictive! As I prepared to make this all green treat, I headed out to my local market on the hunt for the St. Paddy’s Day Lucky Charm’s cereal. My goal to score all those lucky green shamrock marshmallows in on box of cereal. Nope, NOT a one in the store. I don’t know if they didn’t make it this year or what! So guess what I got to do? Yup, pick all the shamrock ones out of the cereal box! I just pretended I was hunting for some buried treasure in the midst of all those rainbows in there. Do ya think I found my pot of gold??? I’m not tellin’! In the microwave melt candy melts, peanut butter and oil for 30 seconds on high. Stir, if needed microwave another 15 seconds and the mix until melted. 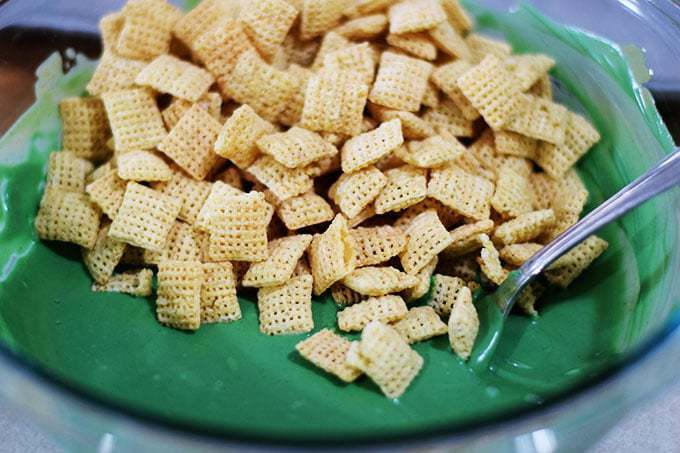 Pour in Chex cereal. Place mixture in a gallon size zip lock bag and pour in powdered sugar and shake until coated. Pour out onto a cookie sheet lined with wax paper until set. Then mix in candies and marshamallows. This is such a fun treat and you can be creative, use whatever types of candies or toppings you like. This is the perfect snack for the little bit (or lot) of Irish in all of us! 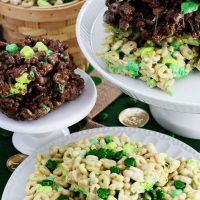 St. Patrick's Day Lucky Chow. 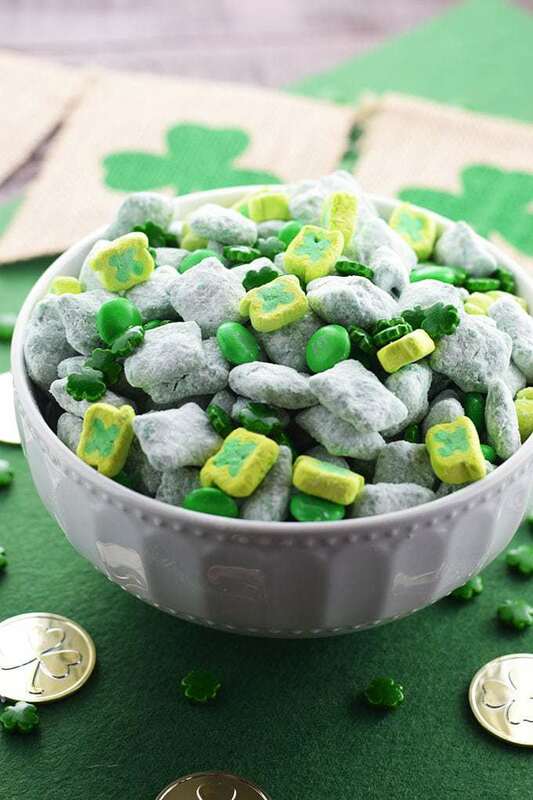 It's puppy chow Leprechaun style! 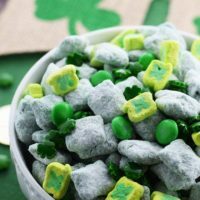 Candy melts, peanut butter, and powered sugar tossed with fun green candies and shamrock marshmallows. In a microwave safe bowl, combine 1 cup Green Candy Melts, peanut butter and vegetable or canola oil. Microwave on on HIGH for 30 seconds, stir and cook in 15 second intervals until smooth. Pour Cereal into bowl and mix until well coated. Open gallon size zip lock bag and pour in cereal mixture. Seal bag, add in powdered sugar, and shake until well coated. Pour coated cereal onto parchment or wax paper and allow to set. Pour on M&M's, Shamrock sprinkles, and shamrock marshmallows and stir. 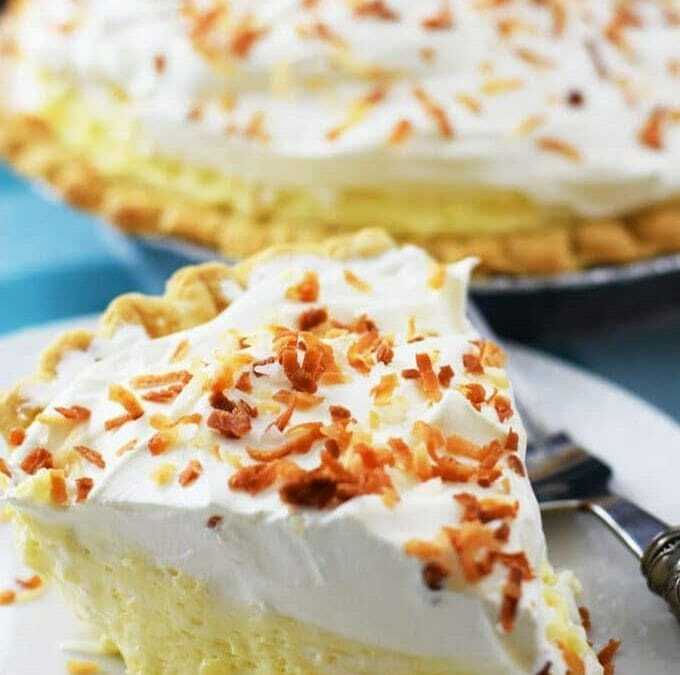 Sharing this over on Meal Plan Monday and Weekend PotLuck. I love your St. Patrick’s Day version! So very festive and perfect for a class party or special after school treat. These are adorable! My kids would love these…if I don’t eat them first! 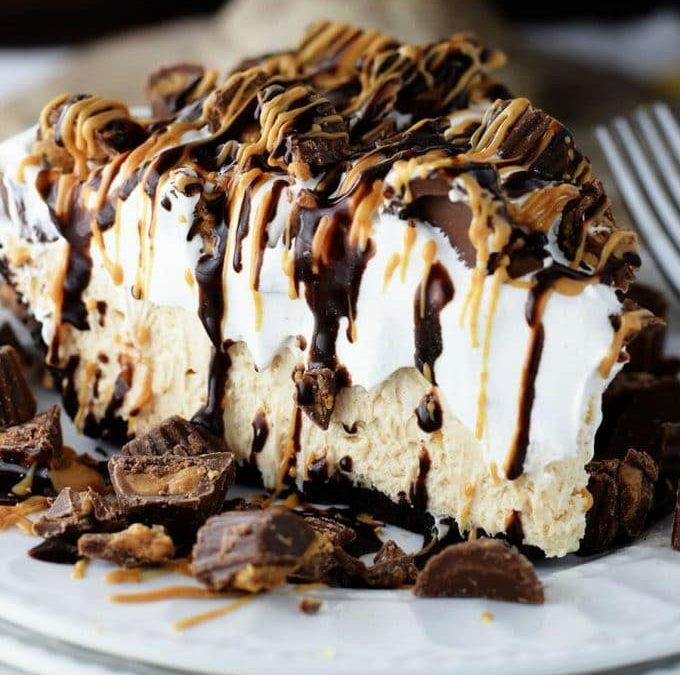 Thanks for sharing on Foodie Friday! Such a fun and yummy way to celebrate St. Patrick’s Day! this is so festive and fun for St. Patrick’s Day! This is such a fun treat! I’m cracking up over you picking through for all the green marshmallows though, lol. I bet I could enscript my daughters to do that part for me. Thank you so much Amy!Yes!! Put your daughters to work! They can make it a race! It’s so fun and yummy. My son and his friends have already eaten through my first batch! This is so much fun!! I think my nieces and nephews would go crazy for this snack! I love that it can be packed easily in a lunchbox or a big bowl to share with friends and co-workers! I could chow these down in no time. Super idea and so cute! This soooooo much fun! I can’t wait to make this! So pretty…any I bet it’s crazy addictive. I just want to reach out and grab a big ol’ hand full! I think my granddaughter would love to help me make this.